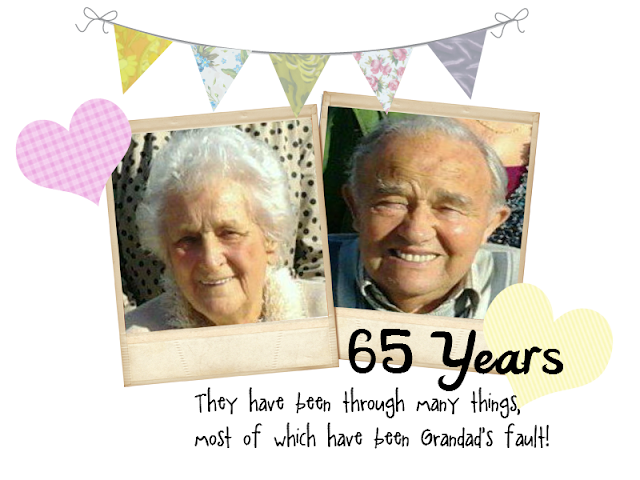 Today, my Nan and Grandad celebrate 65 years of marriage! Yup, 65 years! That's another letter from the Queen! The local newspaper has even been round today to get an interview for a feature. I am a bit gutted we cannot be there to celebrate with them, but I hope they know we are thinking about them and I hope that somebody who knows how to switch a computer on, shows them this post too! Good job guys- 65 years is mighty impressive! On this day in 1947, Henry Ford, the founder of Ford Motor Company, which developed the first affordable, mass-produced car--the Model T--and also helped pioneer assembly-line manufacturing, dies at his estate in Dearborn, Michigan, at the age of 83. Betty Zoe Reber, 17, a plump, Mormon high-school girl; he for the second time, she for the first; in St. George, Utah. I missed this blog post! My grandparents had there 65th wedding anniversary recently too! !